Lintgen, Luxembourg 5 November 2018 — www.rotarexfiretec.com — Rotarex Firetec, a business unit of Rotarex SA, is proud to feature its breakthrough FireDETEC® automatic fire detection and suppression systems at EquipHotel, Stand D66, 11-15 Nov. 2018 in Paris. As France's leading event exclusively open to professionals form the hospitality and catering industries, EquipHotel covers 30 industry sectors and welcomes 1,600 exhibitors, from start-ups to market leaders, to help those in the HORECA industry grow their businesses. To that end Rotarex will showcase FireDETEC, an LPCB-certified automatic fire detection and extinguishing system for small-to-medium commercial kitchens, along with an all-new FireDETEC system for small commercial & home kitchens geared to the professional/prosumer market. Both systems offer complete and ready-to-install automatic fire suppression. And both leverage a flexible sensor tube and pneumatic technology that automatically detects heat and bursts at the hottest spot closest to the fire—releasing extinguishing agent fast, so you're up and working again—fast. Best of all, these FireDETEC systems require no electricity, no moving parts, and very limited maintenance. 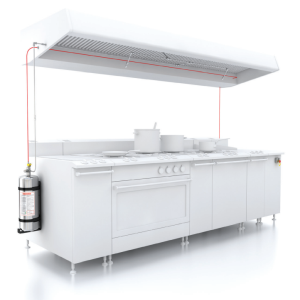 The FireDETEC system for small-to-medium commercial kitchens easily install directly inside the extractor hood and is designed for a three-nozzle configuration to protect two cooking zones, while the FireDETEC system for small commercial kitchens and home is designed to protect one cooking zone. 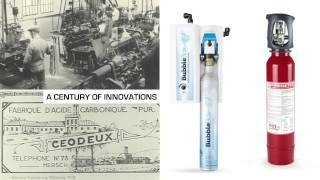 Both are available from Rotarex service centers and distributors worldwide. And you can download a free brochure on our commercial systems here. With an expertise developed over 90 years, Rotarex Firetec is the world leading producer of certified fire cylinder valves, fire protection components and complete fire suppression systems. 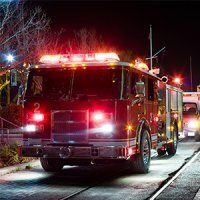 With enduring commitment to quality and technical excellence, we develop fire protection products that keep people, buildings and equipment safe from fire.